UN Watch, NGO Monitor say UN probe of Israel's 'war crimes' against Hamas must be canned, in light of anti-Israel chief's resignation. NGO Monitor, an independent research institution that tracks NGOs involved in the Arab-Israeli conflict, says the UN should suspend its investigation against Israel, and investigate its own corruption and immorality. 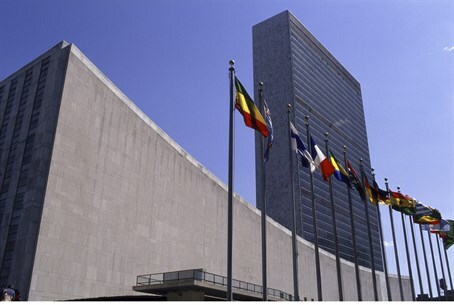 At the same time, Geneva-based human rights group UN Watch calls on UN Secretary-General Ban Ki-Moon to investigate the extent of the anti-Israel bias in the inquiry and scrutinize the flawed process by which a known anti-Israel personage was chosen to head it. Both statements came on the heels of this week's resignation of William Schabas from the chairmanship of the UN inquiry into Israel's activities in Gaza during Operation Protective Edge. NGO Monitor, based in Jerusalem, said that the appointment and resignation of Schabas is a "symptom of corruption and immorality in the United Nations and other platforms for anti-Israel demonization." The UN should suspend its investigation into Israel and immediately investigate the disturbing revelations of its own incompetence and bias, the organization demanded. Issues that must be investigated, according to the group, are: how is it that Schabas was appointed despite his having done legal work for the Palestine Liberation Organization (PLO) in the past? What connections did Schabas have with Amnesty International and other such groups, and what role did these NGOs have in the UN investigation? "Before there is further embarrassment, the Commission should disband immediately," said NGO Monitor head Prof. Gerald Steinberg. "From the beginning, the Commission's mandate was part of the campaign to single out of Israel through the exploitation of human rights and international law." UN Watch, for its part, welcomed Schabas' resignation, but said this is only the first of the necessary steps to be taken. While UN Human Rights Council president Joachim Ruecker insisted that the resignation "preserves the integrity of the process," UN Watch executive director Hillel Neuer said that the opposite is true. "The truth is that Schabas made clear in his resignation letter that he 'devoted several months of work' to the commission," said Neuer, "in which, as the inquiry Chair, and as the top expert, Schabas would have played a leading role in conceiving of the entire project, including the scope, framework, and methodology of the inquiry, selection of specific incidents of the war to examine, choice of witnesses, and legal standards to apply." Neuer said that Schabas certainly had a say in the influential choice of staffers and also "chaired all of the hearings where testimony was delivered and witnesses examined. ...The bottom line is that Schabas masterminded and oversaw this effort for six out of its seven months, and he substantially impacted the entire process." Schabas' "undeclared conflict of interest has now irretrievably tainted the entire probe and its report," said Neuer.